Some big horror movies are due out in 2018, and we’ll probably be surprised by a few left-field newcomers as the year goes on. There’s not much chance that any will be more terrifying than Hereditary, however. The movie comes from first-time director Ari Aster, and will offer a wild supernatural thrill ride for casual and die-hard horror fans alike when it opens on June 8. Hereditary stars Toni Collette, Alex Wolff, and Ann Dowd (of The Handmaid’s Tale), in a story about Annie Graham (Collette) who discovers chilling and bizarre truths about her family following her mother’s death. Annie, her son (played by Wolff) and the rest of their family is tested to their limits and beyond by a chain of events that would destroy most of us. With a star-studded cast and an original concept, Hereditary looks like nothing we’ve seen in years. It’s exactly what the horror scene needs. In the last few years horror has tended towards either the understated slow burn or studio efforts that lean heavily on jump scares. Exorcisms and haunted houses aren’t always front and center in horror any longer. That’s where Hereditary comes in. This supernatural story might revitalize this once-popular approach. The cast is Hereditary’s first big weapon. Toni Collette can emote like no one else, and this story is like an emotional obstacle course. Her character Annie is an artist who turns her own experiences into unsettling dioramas – her art has a lot going on but she’s not the most emotionally available person. She knew her late mother was secretive, but as those secrets are revealed Collette is challenged with some vivid, vicious scenes, and doesn’t flinch away from a moment of it. Opposite Collette is a wide array of talent, beginning with Gabriel Byrne as Annie’s husband Steve, who is patient and as nurturing as he can be. 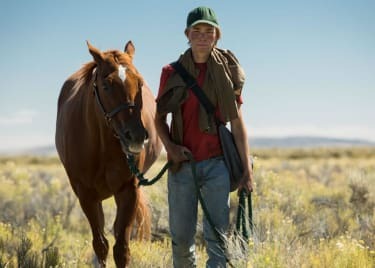 Alex Wolff plays their son Peter, who as the trailer shows must perform some of the film’s more odd and grueling scenes – he and Collette spray a torrent of emotions at one another. And then there’s newcomer Milly Shapiro as Charlie, the couple’s daughter, who keeps to herself and makes strange art pieces. But Charlie also seems more in tune with the supernatural world than anyone else, and Shapiro’s performance is destined to be the one that will surprise and impress audiences the most. 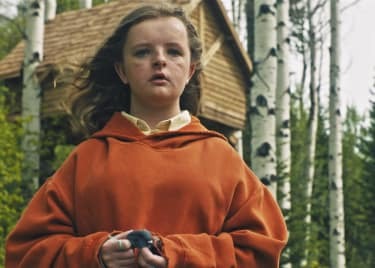 We can’t tell you all the reasons that Hereditary stands out from a story perspective, but the trailer hints at a few of them. Suffice to say that the back half of the film is packed with the sort of family history that makes this movie feel like classics such as Rosemary’s Baby and The Exorcist. Time Out New York even called Hereditary “this generation’s The Exorcist.” Considering The Exorcist was notorious as the scariest film in the world for many years, this is high praise indeed. Ultimately the scariest thing about Hereditary may be the way it ties the supernatural to family history. We’ve all seen those aspects of our families that we don’t like and would prefer not to replicate – and most people have also realized that they’ve carried some unpleasant aspects of their family forward despite making efforts to prevent that from happening. In Hereditary that idea is very literal, and scary as hell. This movie creates a very believable family, thanks to great actors bringing a terrific script to life, and then puts them through something close to actual hell. It does so by making us feel what these people are all going through, so we get scared of the same things that are terrifying them, rather than by stuff jumping out of the shadows. We’re not surprised that scaring audiences by making them care about characters is the best way to make a supernatural horror film that feels fresh and new; we’re just thrilled that the team behind Hereditary managed to do it so well. 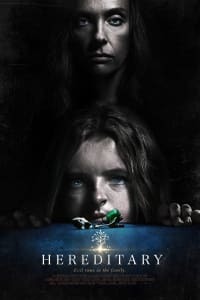 Hereditary his theatres June 8.